When she taught with me in the Complete Fundraiser course, it was usually the organizations she coached who showed the greatest increase in revenue. She is soft-spoken and friendly so you won't get that businesslike fundraiser vibe from her, but soon you'll find that she is detail-oriented, tenacious and completely dedicated. She cares about the people and organizations she works with and goes the extra mile for them. Amy’s solid fundraising skills saw Wild Utah Project not only through, but entirely intact through, the great recession of 2008 –2011. These were times where we saw many of our non-profit conservation partners in the West cut staff, trim hours, and in fact close doors entirely. The fact that we were able to make it through these hard times without having to take any of these measures, we attribute entirely to Amy. Amy embraced our challenge as her own. Her personal approach and interaction with our staff and board were always professional, but more importantly she brought out our best, helping us focus on what was critical, empowering us with a workable plan and inspiring folks to do the unthinkable-fundraise for our cause. Frankly, her knowledge, flexibility with people and organizations and her positive and inspired attitude brought our organization through a tough period. Unlike many working in the field, Amy does more than tweak the edges of your work; she helps to overhaul your systems, your planning and your thinking. If the old maxim “those who can, do, those who can’t, teach,” were applied to the world of NPO consulting, Amy O’Connor would be the exception to the rule. Her approach to NPO consulting is rooted in real-world experiences underpinned by real-world successes. Her understanding that NPO’s rarely operate like text book examples, but more like dysfunctional families, allows her to work with an organization from a basis in reality to an achievable outcome. 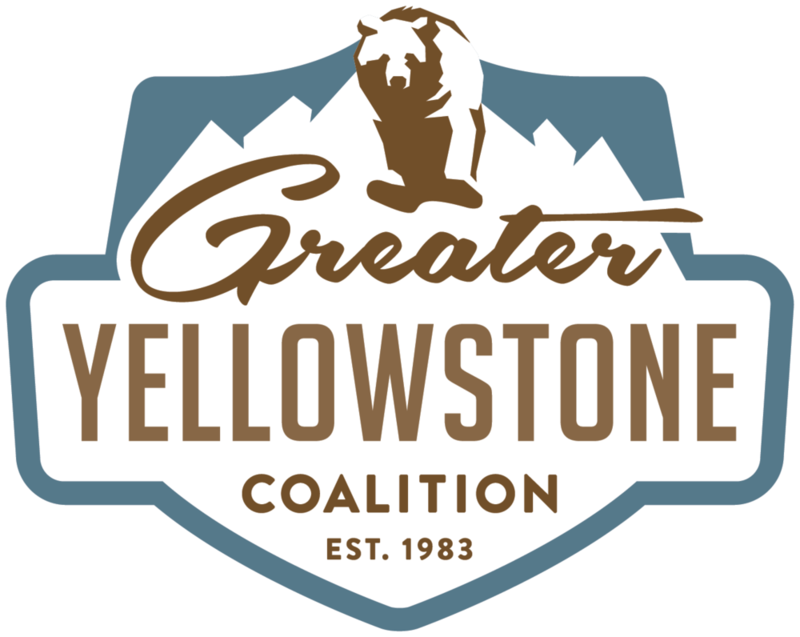 Amy O’Connor assisted the Greater Yellowstone Coalition with membership systems, communication issues and message development. She has an unusual ability to recognize the core of an issue and help her clients find solutions to tricky problems. She is clear, thoughtful, well organized and completely professional. Working with Amy O’Connor was like working with an extended family member. Owing to her successful background in conservation, she understood the challenges and issues, both political and organizational, faced by our growing conservation group. She helped us move beyond our day to day miasma and see a larger picture, not only about what our organization does and how we are perceived, but how we can work with one another to create a sustainable and effective non-profit while working to protect public land and wildlife. One of Amy’s greatest strengths is that she is more than just an organizational development consultant; she truly believes in caring for the land and sustaining the people who do this important work. Amy O’Connor’s expertise in membership development and private fundraising is among the best in the business. With her input, facilitation, and feedback we have created a highly successful membership program and greatly increased our private giving. Her expertise in strategic planning has also been a useful asset to our organization and other organizations that I have been involved with over the years. I would highly recommend her to any organization looking for guidance in strategic planning, how to develop a grassroots fundraising and membership strategy, a major donor campaign, or any aspect of growing an organization. Amy O’Connor exceeded our expectations (at Exploring New Horizons) in working with us on strategic planning. She is such a pleasure to work with and always keeps the interactions so real and personable. Her comprehensive interviews of the Board and Staff prior to the retreat were key in getting background information and bringing everyone to the same page at the retreat. We were ready and had the organization’s needs and priorities ready to share. She then beautifully led us through the strategic planning process integrating all the background she learned about our organization and guiding us to collaborate and create a wonderful tool for our organization. You can tell that Amy is a natural at this process. She always remained grounded and receptive to all the information and ideas from participants, facilitated focused discussion, and was able to ‘magically’ take all his information and put it into a functional form that will help our organization for years. She really is a strategic planning magician. Amy O’Connor with fabulous consulting colleagues Andy Robinson and Ben Senturia at a co-training opportunity. Georgia ForestWatch (Georgia) “Amy embraced our challenge as her own. Her personal approach and interaction with our staff and board were always professional but more importantly she brought out our best, helping us focus on what was critical, empowering us with a workable plan and inspiring folks to do the unthinkable-fundraise for our cause. Frankly, her knowledge, flexibility with people and organizations and her positive and inspired attitude brought our organization through a tough period." WaterGrass (Maryland) "Amy gets results. When she taught with me in the Complete Fundraiser course, it was usually the organizations she coached who showed the greatest increase in revenue. She is soft-spoken and friendly so you won't get that businesslike fundraiser vibe from her, but soon you'll find that she is detail-oriented, tenacious and completely dedicated. She cares about the people and organizations she works with and goes the extra mile for them." Numerous additional groups not listed above have participated in one-day, multi-day, and year-long trainings. Amy O’Connor has provided training and consulting services to many additional nonprofits through the following organizations. "Amy provided high quality, tailored development and organizational capacity assistance to numerous Institute for Conservation Leadership affiliated organizations over the years. Her commitment and follow-through were exemplary." Amy provided high-quality, tailored development and organizational capacity assistance to numerous Institute for Conservation Leadership affiliated organizations over the years. Her commitment and follow-through were exemplary. Our organization needed an outside, objective and expert evaluation of our individual donor development efforts. Amy provided that and more. During 3 days of intensive work at our offices, Amy not only provided well-reasoned and appropriate recommendations, but helped train and motivate staff, trustees and volunteers to take an active part in fundraising. Amy’s work with us has led to positive change, both in very concrete, practical ways and in our collective understanding of the role fundraising needs to play in the organization’s activities. It’s not simply Amy’s hard-earned know-how and her remarkable ability to strategically systematize fundraising processes that make her a terrific resource for nonprofits; she is also friendly, flexible, down-to-earth and genuine. Her willingness to work with – rather than preach to – nonprofit staff is a tribute to her intelligence and integrity and is the cornerstone of her effectiveness. A few members of our staff were initially skeptical about bringing in a consultant, but after Amy’s site visit all participants agreed that her guidance was incredibly worthwhile. Her insight on aspects of membership development, direct mail fundraising, and board development was a result of many years of experience of working in development herself. Amy does her homework and comes knowing your organization’s strengths and weaknesses. Amy’s greatest asset, though, is her ability to engage, mediate, and interact with all participants to ensure the consultation will directly address your organization’s most pressing needs. I highly recommend Amy to other groups; the benefits of her consulting to our organization went above and beyond our expectations. We feel fortunate to have Amy O’Connor working with us because she has a rare combination of qualities that make her an ideal consultant. I can count on one hand the number of people I’ve encountered in my life who are as responsive as Amy O’Connor. If she says she’ll do something, she will and ALWAYS by or before the date she agrees to. She’s patient, she’s smart and my personal favorite – she’s got practical solutions. We continue to consult with her because we trust her instincts. Amy O’Connor has been a most valuable asset to the Predator Education Fund (now Western Wildlife Conservancy) at a critical juncture in our development. With a new board of directors in place, we needed help in understanding our respective duties, as well as what we must do to take our organization to the next level. With Amy’s support, I believe we have been able to do that. Amy has years of experience in the world of environmental activism and conservation, and she is able to share her knowledge with others in a way that is friendly, clear and engaging. I know I can speak for all the staff and board members of the Western Wildlife Conservancy in recommending Amy wholeheartedly. Amy O’Connor helped the Idaho Conservation League develop a comprehensive Development Plan which assisted us in systematizing our development program. Amy’s analytical skills were critical in helping us set realistic membership goals for our organization. Her experience and copy writing skills moved us to the next level of membership development. Amy was very sensitive to our organization’s unique characteristics. It wasn’t as if she had a cookie cutter approach, but she adapted tools to fit our needs. Amy’s thorough understanding of non-profit organizational development and membership recruitment and retention is an enormous asset to any conservation group that has the good fortune to work with her. With Amy’s thoughtful assistance and guidance, we’ve implemented a successful membership development program that has helped us grow and strengthen our organization. Her skills as strategic planner, editor, and writer, and her extensive knowledge of membership development techniques and systems make Amy a pleasure to work with. Amy O’Connor was a delight to have as a consultant for The Lands Council membership development training. Amy’s in-depth knowledge of direct mail campaigns is unquestionably first-rate. She was very patient and positive, helping me through the direct mail process step-by-step. Her detailed perception of how to organize a membership drive was extremely valuable to our organization. Amy is a most desirable development consultant and we are fortunate to have her development expertise available to us. Almost three years ago, we had the good fortune of having Amy O’Connor referred to us as consultant. She met with our staff and examined in detail our membership recruitment and outreach strategies. She also met with our board to help us elevate the overall effectiveness of our organization. Amy’s work with us has been an important catalyst in success over the past three years in increasing our membership by 400% and more than tripling our budget. No one could have done more than Amy to help us improve our fundraising. She worked with our board and helped us design our membership development program. Our income had hovered around $170,000 for years, and in 1999 we raised $264,000. It was our best year ever. Amy O’Connor has been a Godsend. With Amy’s assistance we have revamped the content of membership letters, designed our first formal membership renewal calendars, compiled the first direct mail pieces, connected to a non-profit mail house, as well as compiled membership projections. Throughout all of this, Amy’s clear and strategic thinking guided us to a finished product that otherwise would not have been possible. Although known for her membership acumen, Amy also successfully facilitated a staff and board retreat focused on branding and marketing. I could think of no other consultant I would rather have on the end of the phone when I have a burning question. She is quick to lend advice when asked but rooted in a working style that built our own internal knowledge and capacity. I would recommend Integrated Development Consulting to any non-profit organization, large or small.